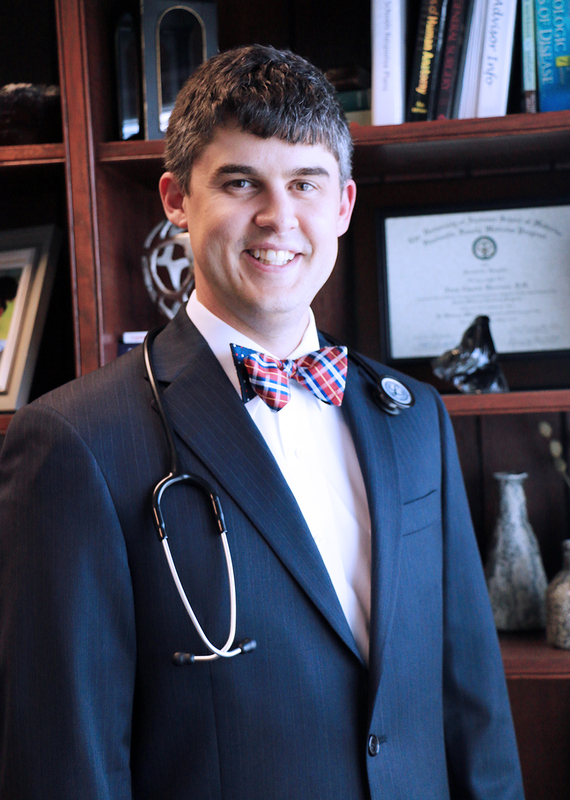 CULLMAN – From his office at Cullman Internal Medicine, Dr. Adam Harrison looks back at his decision to spend his first year in college at Wallace State as a wise one. “Sitting where I am now today, looking back there, I’m telling you it’s the right decision, over and over,” Harrison said. When he graduated from Cullman High School in 2002, Harrison said he had several friends who were going straight to four-year colleges. He admits to having a few pangs that he wasn’t going with them straight away, but knows it was the best decision for him. Harrison attended Wallace State on a scholarship as the manager of the baseball team. “I loved it and it really set me up for the rest of the education I received,” he said. He said he knew early on that he wanted to be a doctor. As a junior in high school he shadowed local orthopedic surgeon Dr. Steve Fuller and family practice physician Dr. William Peinhardt. During the summer between high school graduation and attending Wallace State, he interned at the hospital. Harrison spent one year at Wallace State taking basic courses he could transfer to Auburn University, where he graduated before attending the Philadelphia College of Medicine. He then spent a year in Columbus, Ga., during his internship, meeting his wife Lyndsay, a nurse practitioner, in the process. He completed his residency at UAB at Huntsville. After that, he and Lyndsay looked around for a place to settle and chose to come back to his hometown. “It’s just a great community,” he said. Since then, their family has grown with 22-month-old Brooks and newborn Blakely. In his work, Harrison said he gets to meet many of Wallace State’s nursing students and is impressed by them. “I walk into my patients’ rooms and a lot of time a student nurse will be there, and I’ll ask them a question – blood pressure, vitals – and they’ll give me really useful information,” he said. “Their instructors are very good, too. “I encourage anybody and everybody to go to Wallace State and start their career, whatever it may be,” Harrison added. Registration for Fall 2018 is currently underway, with classes starting Aug. 15. Visit www.wallacestate.edu or call 256-352-8000 for more information.